Wounded soldier, Adrian Bancroft, has a whirlwind romance with his nurse. A foolish misunderstanding leads to a heated argument and he and Julie part in bitterness. With the black clouds of war hovering overhead, he returns to the hospital to sort things out with the woman he loves, but Julie has been banished because she is pregnant. Amidst the chaos of wartime London , he begins a desperate search for her. In Affinities, Escape, a Books We Love Young Adult Fantasy, two sets of halfling twins, Ashlea, Brandien, Jaydren and Kylandra sent away from their home by their parents to protect them from trouble, search for mentors to teach them how to use their affinities. Each of these young teens has an affinity for one of the elements. Ash for Air, Bran for Water, Jay for Earth and Ky for Fire. During the escape, they face many problems forcing them to use their affinities by trial and error. They also meet Alizand, the son of the ruling prince of Wesren. Zand has an affinity for Fire and this will keep him from gaining the rule. Dom Senet, an advisor to his father, and once a friend of the quartet’s parents suspects Zand’s affinity. 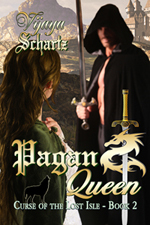 He wishes to corrupt the teen and use him to gain control of the four princedoms of the land and of the highlands. The evil dom has all four affinities. 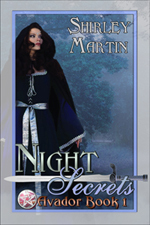 The four must reach a secret place and find teachers before the evil man discovers them. In Havens, the four teens, led by the mysterious birds they believe are their parents seek a place of safety where they can learn to control their affinities. They find a place of refuge with Doma Jandia, grandmother of their friend Zand. The doma plans to take them to the highlands but news of the capture of two of their friends by Dom Senet, sends them on a rescue mission. Their powers are not strong enough to defeat the evil dom. They must find a way to succeed or their friends will be corrupted forever. In Searches, having found a safe place in a tower fortress, the four and their companions set out to find what they need to defeat Dom Senet and He Who Walks With Evil. They divide into three groups. The first group seeks the focus stones that enhance their affinities. The second group looks for the remaining artifacts, the swords, the staffs, the flutes and the scrying bowls. The third group sets out to find those with their affinities to round the groups to four of earth, four water, four air and four fire. Their strength will be needed in the final battle. In Confrontations by J.L. Walters, a Books We Love Young Adult Fantasy, Ash, Bran, Ky and Jay along with their friends have now mastered their affinities. They now control their ability to use Earth, Air, Fire and Water. The time has come for them to face Dom Senet and He Who Walks with Evil. They have learned a disturbing fact. He Who Walks With Evil is able to exchange an old body for a new one. Dom Senet wishes to obtain the secret and he is willing to sacrifice even his own son to gain this power. The four sets of companions set off to rid the doms and domas of Dom Senet’s bonds and to defeat the two evil men. Can they or will they become pawns to evil? 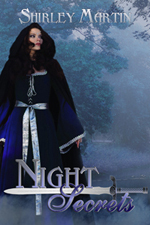 Night after night, Lucy yearns for her fabled fairy prince to rescue her. Thom Hill arrives, acting more like an ugly frog than the princely character in Lucy’s dreams. But who knows the magic in a simple kiss? If you knew a handsome hunk of a man was only a kiss away, would you do it? Would you kiss a frog? Lucy did and Driven to Love tells you what she got for her effort. In a classic case of the irresistible force meeting an immovable object, Lucy Fox zeroes in on her hero and lets nothing deter her. Thom Hill is drawn into a sizzling romantic battle with the blonde dynamo, resulting in an affair that’s not too hot and not too cool, but just right. Please stop back March 23 for a blurb from Janet Lane Walters. As if stumbling over a dead body isn't enough, Crystal Cartwright finds herself playing surrogate mother to two small boys when their father--her neighbor--doesn't come home. The kids aren't much trouble, but the thieves, drug dealers and kidnappers they're about to encounter are. Detective Jack Dunlevy, a cop down on his luck, draws the cases no one else wants. 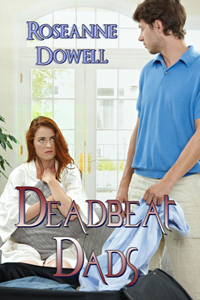 A simple investigation involving a dead homeless man quickly changes as Crystal enlists Jack's help with the children. Drawn into a mystery that none of them could have anticipated, they're faced with a situation that will change their lives forever. 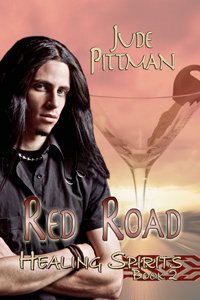 Please come back March 21 for a blurb from author Pat Dale! 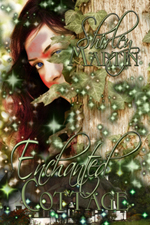 With a vivid imagination and a love of storytelling, Shirley Martin has always enjoyed writing. 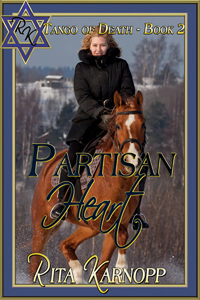 She was born in western Pennsylvania and her first published novel, Destined to Love, reflects her familiarity with the area and shows her love of writing. 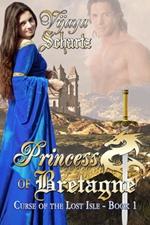 From this historical romance she blossomed out into other genres. One More Tomorrow is a vampire romance, one her publisher dubbed 'a sizzling seller'. Now the author of several fantasy novels and novellas, her writing should appeal to just about every reader of romance. Her books are on sale at Amazon and most major book stores and have garnered great reviews. Welcome to the Casting Couch Shirley. I am looking forward to learning more about your writing technique. Which characters are hardest for you to develop? Is it the hero, the heroine, the villain, or the secondary characters? First, thank you for featuring me, Sheila. I am so pleased to be here. I often have trouble developing the heroines. I know women today like assertive heroines but since I'm a little reserved myself, it's difficult for me to present heroines who are truly assertive. It is such a surprise to hear you say that Shirley because your heroines are great. When an idea strikes, do you work through the plot first and then cast the characters, or is it the characters first? Or does it vary? It varies. After I get an idea, I usually work out a basic plot. I do an external and internal Goal, Motivation and Conflict chart for each major character. That is so organized. Can you give an example from a published story? Yes. My historical romance, Forbidden Love, is centered around a steel strike in Pittsburgh, so I knew my hero would have to be a steelworker. To counter this I wanted the heroine to be from a wealthy family, so there would be extremes in their backgrounds, and thus, much conflict. When deciding how your characters should look, do pictures inspire you, or do you think of someone you know? Or perhaps you rely on an active imagination or another method entirely. That is unusual. Nearly every other writer I've interviewed has to have their imagination triggered by some sort of visual idea. Do you have a system for developing their character traits? As stated earlier, I use a Goal, Motivation and Conflict chart for each of my main characters, but they often have a mind of their own and do unexpected things. All characters have goals. Can your characters' goals usually be summed up in a word or two, or are they multi-layered? 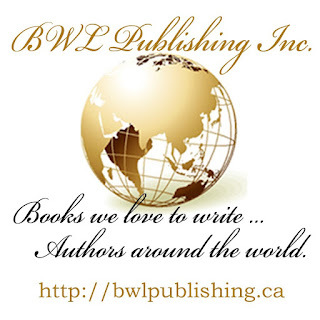 Do they change as you write the book? My characters all have internal and external goals. Often their goals change as I write. Motives drive a character. How do you discover your character's specific goals? Are they based on back story or do other elements influence their motives? Their external goals center around outside circumstances. Their internal goals are changes they must make within themselves. For example, in my time travel romance, Dream Weaver, my heroine's external goal is to save her lover's life. As her internal goal is to conquer her fear of violence she has to attain her internal goal before she can save him. It's very clear that you really think out your characters in great detail so, last but not least, do you like them? Are they people you would want to spend time with? Assuming they are not just a paper exercise, which of your characters would you most want to meet, and why? Born near Pittsburgh, Shirley Martin attended the University of Pittsburgh and then taught school for one year.After that she became a flight attendant with Eastern Airlines. She met her husband when she was based in Miami and, with him, raised three sons. Once they were grown she devoted her time to writing, something she had always wanted to do. With a vivid imagination and a love of storytelling, Shirley has always enjoyed writing. Now, sadly, a widow, Shirley lives in Birmingham, Alabama, with her two cats. Please stop back on March 19 for a blurb by Jamie Hill. Well, it's been a while, but then again, I have been hard at work crafting covers for the BWL authors when I am not chained up at the university working on the dreaded thesis work. Series can be the joy, or the pain in the behind, of a cover artist. The elements of the covers need to match in a series. This can be a potential issue when an author either doesn't know ahead of time that they are going to continue in the same universe/with the same characters, or doesn't tell the publisher, or does tell the publisher but the artist isn't told. Much of cover artwork is done using stock images. This means, if I know ahead of time that an author is planning 3-10 books using the same characters, that I need to find a model that has numerous usable poses. This creates an added challenge up front – but pays off in the end. Because when that second book comes along, I already know what images are options, and I simply pull up my bookmarks and run with it. Alternatively, if it isn't the same characters – the images still need to have the same feel. So I will start looking for possibles that would work for future books, or I will make sure that I don’t go with an obscure style image, which would be hard to find a matching one later. Almost all of the covers that I have created are ones that I personally like. (There have been a few exceptions however - I won't lie). I also work hard to try and make each cover unique, despite the fact that I might have fallen in love with an effect, or with the way elements of a cover have come together. It’s only fair to each author. After all, cover art should not be like the suburbs – in my opinion, where possible there should be no cookie cutter version of a cover, duplicated numerous times with just small changes made. Obviously, some releases are in genres that just don't sell as well, or are of a length where the cost of an individual cover can be prohibitive. I do not argue that they are wrong - it is just good business sense to evaluate cost:benefit ratios. But if it is possible to create a unique cover for each release, in my opinion it should be done. Yet, sometimes ... a certain cover will just tug at me, and I really wish I could return to it. Series offer a happy middle ground - they allow me to return to effects and styles I previously used, without short-changing the author. Series can also be a pain, since stock art is limited. Again, if I know ahead of time, I can do my best to limit that having an effect. But I am also an author, so I know how sometimes, secondary characters catch on with readers … or with the author. Sometimes they just sit there and needle you, wanting to know when their story told. So I never hold it against an author if they decide to do a spin off. I just ask that if an author knows ahead of time that the book I am doing a cover for is part of a series, that they please let me know. As mentioned in my post about the cover art form, there is a spot for just that, and since many series books with have a series title, that also tends to be a dead give-a-way to me. So let's get down to discussing the details of what goes into a decision about series covers. As you can see here with Jamieson Wolf’s Hope Falls series, all of the woman have a similar feel to them. They are all soft, feminine woman, with their gaze over their raised shoulder. When I was assigned the cover design for these, I know ahead of time that I was looking for a blond, a light haired brunette, and a dark haired brunette. I wanted them all to have a matching look. Then, for the background, I needed an image that was wide enough I could pan along it with each cover, so that the background is the same, and yet slightly different, with each cover. The coloration and feel of the image for Family Secrets is rather unique. It isn't the standard cover image. There are a lot of warm colors, and there is just a feel to the image that catches the attention. Now I knew before I selected that image that there was another book in the series, so I made sure that I had something in mind that would work for the second book – Family Ties. Had I not, it would have been a challenge to try and find an image that had the same feel as the one in Family Secrets. When I didn't know, or quite honestly if I was told, I didn't catch it (because if Jamie knew ahead of time, I am certain she would have told me) - was that there would be a third book. So when the third book rolled along, I did have a bit of a challenge to find another image that fit the same feel. As you can see, there is a slight difference in the feel of the image, but overall, it does match well. It has the same general pose as the second book, so it ties in, even though the colors are a bit off. As an example of a series that just came into being (at least as far as I know) is Jude Pittman’s Healing Spirits series. So I had no clue ahead of time that there would be future books. It originally was just Bad Medicine. Then, she started planning for a second and third book - I am guessing because the characters started talking again. At that point we had two options – try to match the feel of the first book, or redo the cover for the first book. 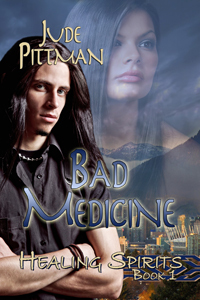 So we have the original Bad Medicine cover, with a woman in a field. A nice soft cover. It really didn't fit with where the story-line is going to flow to next. So unlike in Jamie's case, we decided to go with door number two and instead of matching the existing cover, just started over. As you can see, the redesign allowed for the mimicking of elements. Along the bottom of all three covers is a scene image of some kind - a cityscape, a deserted road and a lake in front of mountain, with trees. 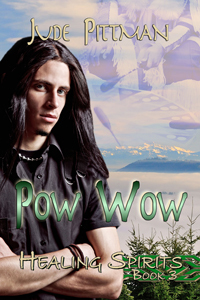 Each of the covers has something faded into the upper background - a woman, a martini glass with car keys, and a Native American making music at a drum. What about if the author wants to keep the cover (or the publisher does) but there still needs to be a way to tie it in? Well that calls for a compromise of sorts - the tweak. That's right, a slight modification to the existing covers that creates a series feel. 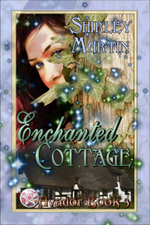 Once upon a time, there was a fair author princess named Shirley Martin. And she had a couple of books that were kind of sort of tied together, but the nasty mean evil witch cover artist didn't know that. So she cast a spell on the covers, making them pretty - but not uniform. (Except for the first two that she knew were in the same universe ... so fonts matched). Then one day, the good fairy publisher came along, and discovered there was a spell on the nasty mean evil witch cover artist, and removed it with a spell of her own - a fourth book spell. The most wondrous kind of magic. That allowed the good witch cover artist to take control of her body again (seems she was just possessed, and wasn't really a nasty mean evil witch) and bring harmony to the covers with a touch-up potion. With the help of the touch-up potion, the covers were made to match with the use of the same fonts, and an added border. Having a little bit of fun, the good witch cover artist also brought elements of the cover out beyond the border (see the sword in book 1, twinkles in book 2, twinkles in book 3, and dragon wing in book 4). 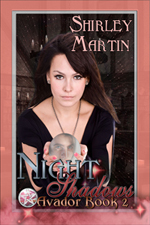 And so our story comes to a good end for the fair author princess Shirley Martin. 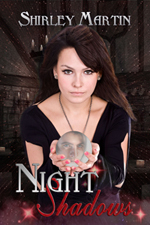 And for the good witch cover artist too, because she wasn't fed to the mean 'ol troll. Great story huh? Nah, I am not mellow-dramatic in any way! Now if you are looking for the true moster-load of challenges as a cover artist ... let's check this one out. Keep in mind, I DID know this was going to be a series ... so that didn't create the challenge. The challenge on Vijaya's series comes about because they are all historicals ... and finding good historical images is challenge enough. But some of the books have the same characters, and others don't. Plus, time keeps on a rolling along ... so while a character might be dressed perfectly in period for one cover, it won't work for another. So finding historical images of the same person, in the different period clothes that I need? Um, winning lottery ticket anyone? Cause that is the kind of luck it would take. Which means something else has to be worked out. For the first two books, I did luck out. Jimmy Thomas fit perfectly for the first book, and for the second book, I found an image on his cover art images website with a woman showed from the back, and him in it. Keeping the same background, just shifting it to a new angle, I was able to tie that in. I also needed something to tie the whole series together - so there is the sword, and something wrapped around it. Now for the third book, since there was a new hero, I wanted to recreate the feel of the first book, so the heroine is front and center, with the hero faded into the background again. 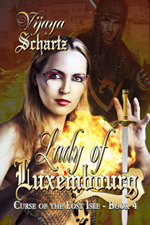 Now, the mermaid wrapped around the sword places this book with a certain heroine. All of her books will have a mermaid, just like all of the books dealing with the first heroine had a dragon. I already have images planned for wrapping around the sword in each of the future books. Ideally, when a new hero and heroine is introduced, for that first book, it will mirror book one and three, with any later books involving them done different to match the story aspects. So you see, a LOT can go into creating a look for a series - because you do want the books to look somewhat similar. At least as a reader I know I like it when they do. I hate it when books change cover style mid-series. Drives me nuts! I have actually gone back and repurchased books in a series when they were re-released with matching covers, just so everything matches. As a cover artist, I do my utmost best to make sure that I keep series matching each other - and make the author happy with the end product. Stay tuned for the next exciting chapter in Behind The Cover where I will talk about the X-Factor. After that, we roll on along to Author Branding. How many men leave their wives and families and ignore them? 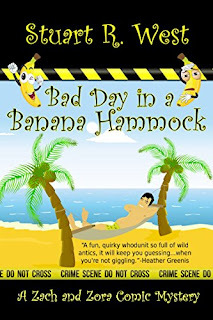 After her husband leaves her for a younger woman, Erica Morris starts a group for ex wives of deadbeat dads and was surprised at how many there were. 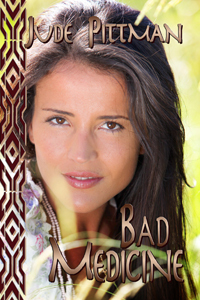 In the process of rebuilding her life, someone tries to blackmail her. Can she put the past behind her or will it catch up to her? Check back March 17th for Joan Hall Hovey's post. “I am a Jew fighting for his people and I’m fighting for your people, too. I don’t need you fighting me.” He opened his arms to her. Vanya moved into his embrace. After a long silence she lifted her face up to him and took his hard kiss. She responded with urgency and passion. He fueled the fire within her and she didn’t want to stop. He kissed her cheek, then moved to nibble on her ear lobe. “I love how you kiss me,” she said somewhat breathless. He answered with a trail of kisses down her neck . . . lower and lower. She allowed him to pop open the first few buttons on her blouse. He pinned her back against a tree and buried his face into her cleavage. The sensation shook her to the core. She should tell him to stop, but she truly didn’t want him to. How or when he slipped the remaining buttons free, she couldn’t say. Watch for JEWISH SOUL, book 3 of the Tango of Death Series . . . coming soon - Mayla decides it’s up to her to do whatever it takes to find her twin, Vanya, and baby sister, Zilka ~ before the Gestapo sends them to a concentration camp or the SS kills them. Stop back by March 15 for a blurb by Roseanne Dowell!